A massive, tall gothic structure towers upward towards the moonlit sky, wind blowing through its ornate corridors, steeped in mystery. Adeline, Research Hall Patient right room on the base floor which is accessed from behind via elevator. Simon, Seeker of Secrets right next to Research Hall lamp. 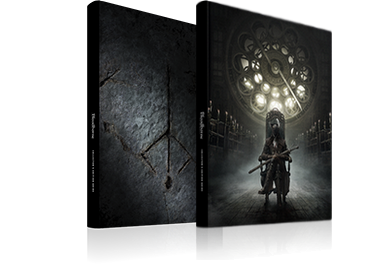 Throughout the Research Hall you can find several Non-hostile Clocktower Patients that you can speak with, and although they may ask you for help, there is nothing you can do to help them other than put an end to their suffering. Sinister Bell Ringer (Online): Bell Ringer is located at Top-left corner on the Floor 3 and top-left corner on the Floor 5. When “bell-ringer woman” is present, versus PvP invasions are possible. Confederate: In plain view immediately to the right of the boss room entrance. In order to summon him you must first kill him in the Underground Cells area and equip the " Impurity" rune. 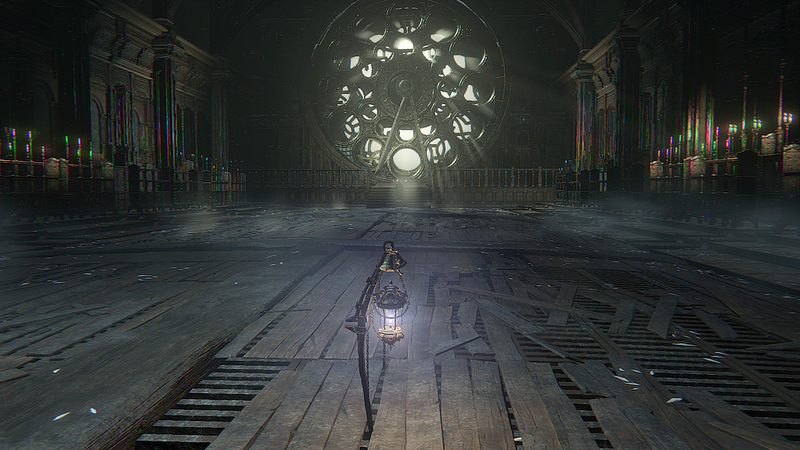 As soon as the altar elevator comes to a stop you'll find the Research Hall lamp directly in front of you, so before doing anything else, make sure to light it. If you wish to head back down to the Recovery Room, simply step back onto the altar and it will descend. There are no real enemies on this floor so there's no need to be on guard and you can freely explore the area. There are, however, two Wandering Nightmares that you should deal with first to make sure they don't escape. The first of these is near a pillar just to the left of the entrance. The second one is on the stairs at the back of the pool of liquid, and it's best if you approach it from the side so that it runs into the low wall nearby. The pool of liquid is extremely toxic, so try to avoid stepping into it whenever possible, and make sure to sprint to the middle and back when attempting to pick up the item there. Also near the pool you'll find a non-hostile Clocktower Patient that you can speak with, and although it asks you to help find its eyes, there is nothing you can do to help it other than put an end to its suffering. There are also two doors on this floor, but at the moment you're unable to open either of them; the Laboratory Floor 1 door can only be opened from the other side, and the 1 st Floor Balcony door requires a key. Your only way forward at this time is to head up the large wooden staircase, but be careful as you approach the landing, because you'll encounter some hostile Clocktower Patients. There are two at first, but another two will approach from the stairs to the right. Once they've been killed, you can either take the stairs on the right to reach Floor 2 - West Side, or the stairs on the left if you want to go to Floor 3 - East Side. To be able to enter this room you'll need to go up to Floor 3 - East Side, and then use the elevator in the Laboratory there to descend down to this Laboratory. There are no items to pick up in the room, but you will be able to talk to Adeline, whom you'll find strapped to a chair in the corner. She is desperate for you to bring her some Brain Fluid, and unlike the Patient you encountered in the Main Hall, you can actually fulfill her request. There are a total of three Brain Fluids you can give to her, and doing so will net you some very good rewards, including the key to the 1st Floor Balcony, and the Milkweed Caryll Rune. After going through the door you'll find yourself on a small balcony with a gap in the railing that you can drop through to land on a rooftop. You can then drop down again to the floor below. Once you land, follow the path around to the left to reach an item on a corpse hanging over the end. Below in the garden area you'll see a large number of Clocktower Patients - these ones are significantly more dangerous than the normal ones, because they all have access to extremely damaging long range magical attacks. As soon as you drop down into the garden area they will all stop working and stand guard, and if one of them spots you, any within range will start attacking you. The best way to deal with these enemies is to take advantage of the fact that they won't move unless you get close to them, and if they lose sight of you for a while they'll go back to standing guard. With that in mind, drop down and use a plunging attack on the Patient below, following up with some normal strikes if it's still alive. Once it's dead, quietly walk over to the one just to the right of the large pillar, and then use a charged R2 to stagger it and then finish it off. If done correctly, you should not alert any of the other nearby enemies. Move back away from the pillar again before going down and hugging the back wall until you're behind the Patient, and then once again use a charged R2 and follow-up to kill it quickly. That will alert the enemy nearby, so quickstep back behind the large pillar and stay out of sight until it stops attacking you. Repeat the process for reaching the enemy to get behind and finish it off in the same manner. The final enemy in this part of the room will usually detect you during this process. If it does, quickly get behind the pillar again until it stops attacking, and then go around the other side of the pillar to get behind it and kill it. Go up the nearby steps to get out of the garden area, and then run around the path, where you'll be overlooking another Patient below. As before, use a plunging attack to weaken it and then finish it off quickly. The remaining two enemies in the area are too close to each other to sneak up on, so the best thing to do is run up and attack them to try and kill them before they can retaliate. Once all of the enemies have been killed you can safely claim the Blacksky Eye item from the corpse in the middle of the room. After collecting your prize, cross to the other side of the room and break the window to gain access to the Recovery Room Balcony. There's a Wandering Nightmare along the left side of this Balcony, so it's worth going that way first to kill It before It escapes. Go around to the other side of the Balcony and you'll come to a hole in the floor that you can jump across to reach a chest containing a Blood Gem. Once you have the contents of the chest, drop down through the hole to land on a small ledge below, and from there drop down onto one of the beds In the Recovery Room. By accessing the Recovery Room In this manner, the usual altar elevator should be in its raised position (If It’s not, step onto the altar to trigger the elevator, and then step off quickly before it gets too high), which will reveal a hidden altar. 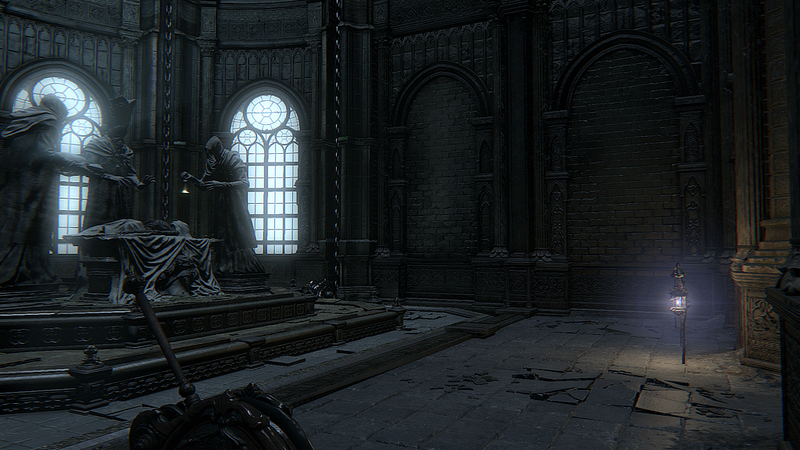 Stepping onto this second altar does not trigger the elevator, so approach it and pick up Laurence's Skull. After picking up that item, pull the lever to operate the elevator, and then quickly run onto the hidden alter to be lowered down to a secret area with a chest containing the Church Cannon. Step onto the hidden altar to return to the Recovery Room, and then pull the lever there to lower the elevator again so you can access the normal altar and return to the Research Hall. Be careful as you approach the shelving units on this floor, because there are pressure plates just in front of some of them that when stepped on, cause the jars of chemicals on the shelves to explode. If you get hit by the liquid you'll take a large amount of damage, so step on the pressure plate and then wait for the jars to explode before moving on. Halfway along the balcony there's a Church Messenger standing on a ledge, and while you can run up and attack him to knock him off, that won't kill him; it's best to wait and let him move away from the ledge so that you can kill him without knocking him off and have him turn up unexpectedly later. There is only one room you can enter on this floor, but it's quite an important one because it acts as the shortcut hub for the entire area. Guarding the room are three Wheelchair Huntsmen, however, and you'll need to deal with them first. Thankfully they're all fairly spread out In the room and two of them have their backs to you so killing them Is fairly straightforward. Once the room is clear, you'll have a few paths you can take. At the back of the room is an open trapdoor with a ladder you can use to reach Floor 2 - East Side (you can also drop down from the ledge outside this room to reach the same location), and while you can't use the elevator on the left, the one on the right will take you down to the Laboratory on Floor 1. Once you're in that room not only will you be able to speak with Adeline, but you can also open the door to create a shortcut back from the lamp. It's recommended that you access this floor via the trapdoor in the Laboratory on Floor 3 rather than dropping onto the staircase outside, because it will put you in a better position for fighting the enemies in the Laboratory. From the bottom of the ladder, if you walk towards the nearby ledge you'll see an enemy directly below you, so drop off and use a plunging attack on it. These particular Clock- tower Patients are extremely agile and tend to leap around a lot, so try to finish this first one off before it can start moving around. When tackling other enemies of this type, remember that it's possible to knock them over by shooting them with any firearm; this makes fighting them much easier. After clearing the room, make sure to pick up the Decorative Hunter Attire and then exit out onto the balcony. If you go left along the balcony you'll come to an enemy guarding an Item, and going to the right will lead you out to another non-hostile Clocktower Patient that you can talk to, or kill. The large wooden stairs on this floor don’t lead anywhere at this time, but if you head up them, two Labyrinth Rats will drop down that you can kill for some extra Blood Echoes. There are two doors you can enter on this floor, both of which contain ladders that lead up to the Patient Room on Floor 4. The entrance to the Laboratory is directly in front of you when you first reach this floor and It contains a large number of Clocktower Patients. The main thing that makes this room problematic are the enemies on the mezzanine throwing acid bottles down at you. While you can go underneath the mezzanine to avoid them, doing so limits your movement options for dealing with the other enemies. A better approach is to head left along the balcony towards the Patient Room, but stop and turn around when you get close to it, because a group of Clocktower Patients will come running out of the Laboratory towards you. After dealing with those enemies, enter the Patient Room, where you'll find more non-hostile patients that you talk to and kill If you like. Climb up the ladder in this room to reach the Patient Room on Floor 4, and after dealing with the Clocktower Patient there, approach the ladder that leads back down to Laboratory on Floor 2. If you look down just to the left of the ladder you'll see a Clocktower Patient below you; step off the ledge and use a plunging attack on it. The other Patients nearby have their backs to you when you approach from this side, so you can start the fight with a fully charged R2 for an early advantage. After killing those enemies, go through the doorway and turn to the right to the see the area where the acid bottle-throwing Patients are standing. Start going down the stairs towards them, but be ready to move back once you get to the bottom of them, because the Patient will come running towards you. Fighting that enemy near the top of the stairs should mean the acid-throwers don't hear you, so you can then sneak up behind the first one and use a charged R2 in its back to stagger it for a Visceral Attack follow-up. Doing that will usually alert the other enemies to your presence, so be ready to evade towards the other acid-thrower and take it out quickly, before another Patient approaches. All that's left now is to drop down and take out the last couple of Patients in the area below. To reach this floor you will need to climb up one of the ladders on Floor 2, and while they both lead to the same room, the ladder in the Patient Room will put you in a much better starting position against the first enemy you'll encounter. This enemy is a tougher version of the Clocktower Patients, and it patrols back and forth along a small section of the room. If you took the ladder from Floor 2 Patient Room, a narrow tunnel will hide you from the enemy's sight, allowing you to watch its movements and time your approach so you can hit it from behind. After killing that enemy, follow the stairs up and start running along the balcony until you come to a ledge with an item on it; you can drop down from the ledge onto the landing below to reach Floor 4 - East Side if you wish. Further along the balcony you'll come to a set of stairs going up, and at that time two Clocktower Patients will come out of the nearby Patient Room and attack you. After defeating them, approach the doorway leading into the Patient Room, but do so very slowly because just inside to the left there's another Clocktower Patient waiting to ambush you. If you inch into the room slowly you can attack and kill it before the ambush triggers, and then deal with the other enemy in the room normally. The small set of stairs in that room leads out onto a ledge overlooking the other Patient Room on this floor. To proceed from this floor you need to go up the large stairs from the balcony. When you do so it's best to sprint, because you'll come under fire from a Wheelchair Huntsman with a Gatling Gun on Floor 5. When you reach the landing halfway up those stairs, you'll have the option of either going down the stairs on the right to reach the Floor 5, or taking the stairs directly ahead to reach a ladder that goes up to the Rafters. If you're attempting to reach this area by dropping onto the landing from Floor 4 - West Side, the first thing you'll have to face is an enemy Hunter blocking your path to the stairs. It's possible to drop down without being detected, which will allow you to sneak around to the side of him and use a charged R2; it's difficult to get much closer before attacking because the nearby Clocktower Patient Head will start talking and alert him to your presence. By attacking aggressively from the start you can knock the Hunter off the landing for an easy win.The Clocktower Patient Flead in this area is non-hostile and you can talk to it if you wish. Its main secret, however, is that if you attack it, it will drop one of the Brain Fluids that Adeline so covets. There are no other items or enemies on this floor, and the open doorway only leads to an elevator shaft for the elevator that runs between Floor 3 and Floor 5. If that elevator is down on Floor 3, you can drop down the shaft from this floor and land on top of it. From there you can drop through the hatch in the roof to reach Floor 3. Alternatively, to leave this floor you will have to return to the landing you dropped onto at the start, and then jump across to the balcony on Floor 3 - East Side. Unlike the other Floors in the Research Flail, the balcony on this one wraps around so you can access both sides. The Laboratory door directly in front of the stairs you use to reach this floor leads to an elevator that you can use to go back down to the Laboratory on Floor 3 where the other elevator is, in case you need to return to the lamp. Be careful as you move along the balcony on this floor, because there are pressure plates again that will trigger the acid bottles on nearby shelving units to explode. Just past the first of those pressure plates you'll be able to finally take out the Gatling Gun-wielding Wheelchair Huntsman that was shooting at you earlier. If you continue along to the other side of the balcony you’ll encounter a headless variation of the Clocktower Patients; these enemies will wander around harmlessly unless you attack them, at which point they'll retaliate. Finally on this side you'll come to a Patient room that you can enter, and inside are a number slowly pulsating Clocktower Patient Heads, and a couple of items at the back of the room. The Heads are not initially hostile, but once you pick up the Enlarged Head Attire at the back of the room they will all start attacking. Instead of picking the item up first, it's best to attack the Heads as you come to them, as that puts you in a much better position for starting the fight. All of their attacks inflict Frenzy buildup, so if you get hit even once or twice. It's best to back off and let your Frenzy levels go back down. Before trying to exit the room, however, look above the door and you'll see another sneaky Head attached to the wall, and if you go back through the doorway it will drop down and grab you.To avoid this ambush, use any kind of ranged weapon to knock it down from its hiding spot first, and then kill it normally. The Rafters span the entire Research Hall and you can freely walk along any of the beams. Two Labyrinth Rats also patrol along the beams, so be very careful if you attempt to fight them on the narrow sections. Similar caution should also be employed when going for the item that's on a corpse hanging off one of the beams, because when you get close to it, a Carrion Crow will drop down and attack you. From the starting point of the Rafters, if you take the first left, and then left again, you can drop down onto a small platform with a ladder on it that leads to the Upper section of the Rafters. Cross the Rafters to the other side of the hall and you'll find a pair of Carrion Crows in the corner guarding another item, along with a non-hostile Clocktower Patient that you can speak with. The main reason for coming up here, however, is the large mechanism in the center that you can operate, because doing so will raise the entire staircase structure and allow you access to new parts of the area. Once the stairs have been moved, however, they cannot be moved back, so you'll need to take slightly different routes to move between the floors. You can reach the Upper Rafters via the Ladder from the floor below, or if you activate the mechanism to raise the stairs you'll automatically end up here. On one side of these rafters you'll find another non-hostile Head that you can talk to, and then if you attack it you'll get a second Brain Fluid for Adeline. Going the other way you'll find a Carrion Crow sitting on the end of a beam, and when you approach it, it will fly down to the ledge below as if showing you the path to take. Follow the Crow and drop down from the end of the beam, and if you kill it you'll get a handy Guidance Caryll Rune. Now that you've moved the stairs, you can access the door that leads to the boss room. To reach that door, cross back over the rafters and drop down to the platform with the ladder going to the Upper Rafters, where you'll be able to use some stairs to go down. When you reach the landing, if you go down the stairs on the left you can reach a small platform where you'll find some Carrion Crows guarding a chest containing a Blood Gem. Going down the stairs to the right on that landing will take you down to Floor 5. Once there, run around the balcony to the Laboratory and use the elevator to go down to Floor 3. Exit the Floor 3 Laboratory and follow the balcony along to the right until you come to a set of stairs, and then follow them up and open the large door to face off against the Living Failures. To access this part of the Research Hall, make your way to the Laboratory on Floor 3 - East Side. Just outside the room there's a ledge you can drop from to reach a landing on the stairs below. If you go up the stairs to the left from this landing you’ll be able to reach Floor 4 - East Side. If you haven’t already been there, and if you take the stairs going down from there you'll reach a small platform. On this platform you'll find a Crawling Clocktower Patient that you'll need to kill before picking up the Loch Shield from the nearby corpse. This shield is extremely handy, as it greatly reduces all non-physical damage. From that platform you can also drop down to Floor 1 if you wish, but be careful because raising the stairs released a large number of Crawling Clocktower Patients down there. You'll also find a couple of new items in the toxic pool, so it's worth battling past the new enemies to get them. The set of stairs going up to the right from that landing bring you to the West Side of Floor 3. Follow the balcony along on this floor, killing the Clocktower Patients as you come to them until you reach the Patient Room. Just to right in side of this door, a Clocktower Patient with an infected hand is waiting to ambush you with a grab as you enter. To counter this ambush attempt, step through the doorway and then quickly evade backwards so the grab misses you. After killing the enemy you'll be able to claim the item on a corpse here, which is the Underground Cell Key. At the start of this battle you'll only have to face one or two of these enemies, but as the fight progresses, more and more will gradually appear in the area. While each one only has a relatively small amount of health and can be killed off, you need to defeat enough of them to deplete their overall shared HP pool. Because they have quite high physical resistance, your best means of killing them is to use elemental attacks, or try to Interrupt them and use Visceral Attacks, since they will still deal significant damage. 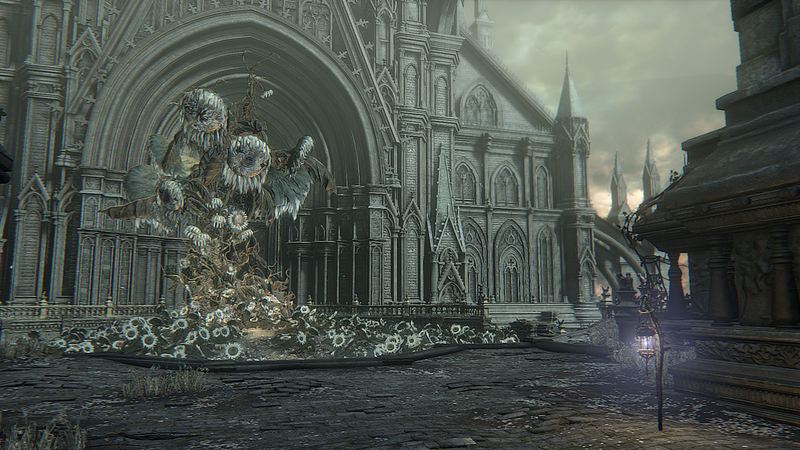 Once you've killed enough of them to finish the fight you'll automatically get the Astral Clocktower Key, and the Lumenwood Garden lamp will appear at the back of the area near the locked door. Upon entering the Astral Clocktower you'll notice a mysterious figure sat in a chair on the opposite side of the room; approach the chair and inspect the corpse to trigger a cutscene. As soon as that cutscene is over the fight with Lady Maria will begin, so make sure you're ready beforehand. Maria can quickly cover a lot of ground with her attacks, but you can use this to your advantage in the early phase of the fight because quickstepping forward and to the side slightly will evade a great deal of her attacks. Once you've defeated her you'll find the Celestial Dial on the ground near the entrance, and the new Astral Clocktower lamp will appear nearby. With the Celestial Dial in hand, approach the large clock face and hold it up when prompted to trigger the clock mechanism to turn. Once the clock has stopped moving there will be a new opening that you can walk through to reach the Fishing Hamlet.